Chalet Chatelet is a classic whole log cabin built with natural materials set in a beautiful location with spectacular, un obscured mountain views. If you don't mind being away from the hustle and bustle, then we are perfect for you. Set off the beaten track, but still easily accessible to all resorts in the Portes du Soleil, the chalet hosts amazing views of the stunning Valle d'Abondance. The peaceful location is a serious plus if you want to recharge your batteries. If you fancy an evening in the hot tub you will be blown away by the seclusion as you star gaze and relax in absolute privacy. Guests at the chalet are invited to make use of the large living and entertainment area, kitchenette and balcony. Our soap stone Tulikivi log burner stove at the heart of the chalet is lit throughout the winter, creating a warm, inviting atmosphere for our guests. There is a state of the art home cinema, SKY+ and broadband Wifi throughout the chalet. We have an indoor two person infrared sauna and an outdoor red barrel cedar hot tub, with stunning panoramic views. We provide all guests with linens, towels and bathrobes. 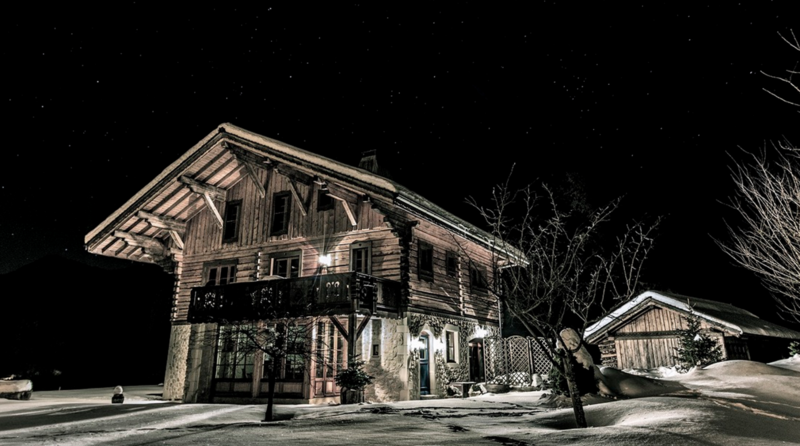 The chalet is surrounded by an acre of grounds and sledging slopes and there is a children's playground only 50m away. No smoking chalet but ashtrays on terrace and balcony. Before you start your day on the mountain, you can enjoy a scrumptious breakfast with a selection of homemade granola, muffins and jams, local hams and cold meats, yoghurts and Abondance cheese. To warm you up on a cold winter morning we offer in addition something hot, such as scrambled eggs and smoked salmon, eggs benedict or pancakes. You return to homemade teatime cakes and biscuits followed by gourmet evening meals served with specially selected wines. Snacks and hot drinks are always available. We pride ourselves in giving an excellent personal service allowing for the individual needs of each guest. During the winter season we can assist guests with booking activities such as ski-joering, snowshoe trekking or husky sledding. Because of the position of the chalet, all French Portes du Soleil ski resorts are within 5-30 minutes giving the ambitious skier plenty of scope but the chalet is also close to quiet family areas for beginners or fresh powder for the adventurous. During the rest of the year we are happy to help you book activities or find magnificent walks or suggest a perfect view to paint or photograph. We will look up boat timetables for your trips on Lake Geneva or make an appointment for you to be pampered at one of the local spas. 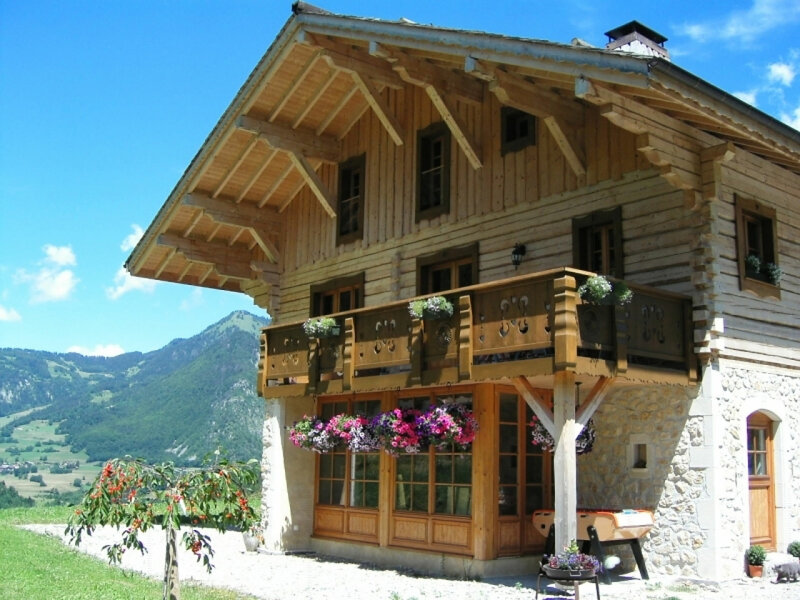 Chalet Chatelet is situated on the edge of the peaceful authentic mountain village of Bonnevaux surrounded by agricultural land in the Vallae da Abondance, which connects to all the Swiss resorts in the Portes du Soleil. 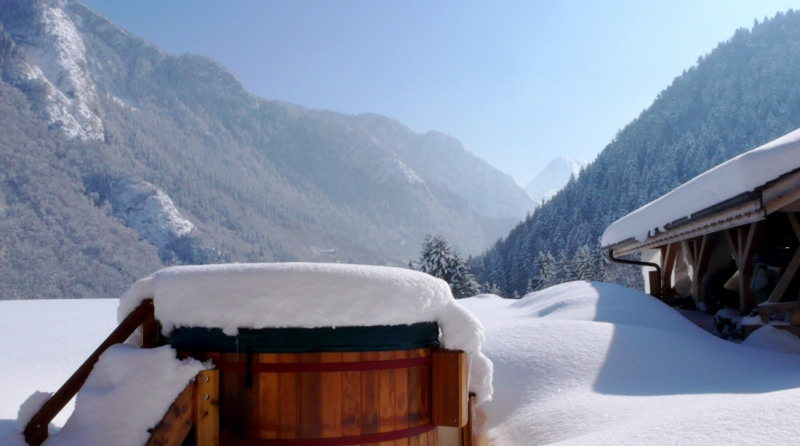 The village resort, Drouzin le Mont, Col du Corbier, specialises in husky sledding, snowshoe trekking and cross-country skiing and three miles away Abondance has ski joering with ponies and of course local down hill skiing in complete tranquility with fabulous fresh powder. Just 10 minutes away by car, La Chapelle d'Abondance connects to the vast PDS with 650 kilometres of slopes in the French and Swiss Alps. Serene healthy pampering also available at four excellent thermal spas accessible from the chalet, two on Lake Geneva and two in the Swiss mountains. The Abondance valley is famous for gourmet restaurants as well as the Abondance race of cows from which the delicious cheese of the same name is made. Bonnevaux has its own sheep and goats cheese and the farmer welcomes visits to see the animals. Abondance has a beautiful abbey to visit, a thriving Sunday market and all sorts of events arranged during the summer and ski season. The area is historically fascinating with ancient castles and even a complete medieval village on lake Geneva. 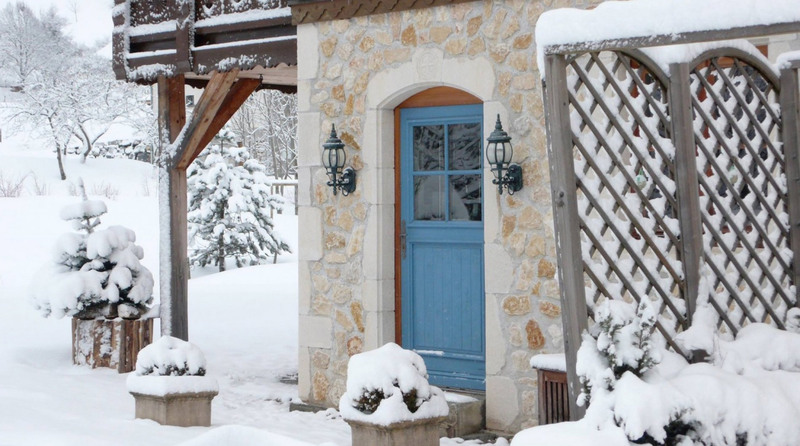 So Chalet Chatelet offers much more than a skiing holiday, but a complete experience of local French life in the Winter Mountains. Chalet Chatelet also supports emerging artists and provides a subsidised retreat during Summer months.